Univa recently sponsored an industry-wide survey to better understand what key challenges technology and IT professionals are currently tackling that are preventing them from moving their machine learning (ML) projects into production. 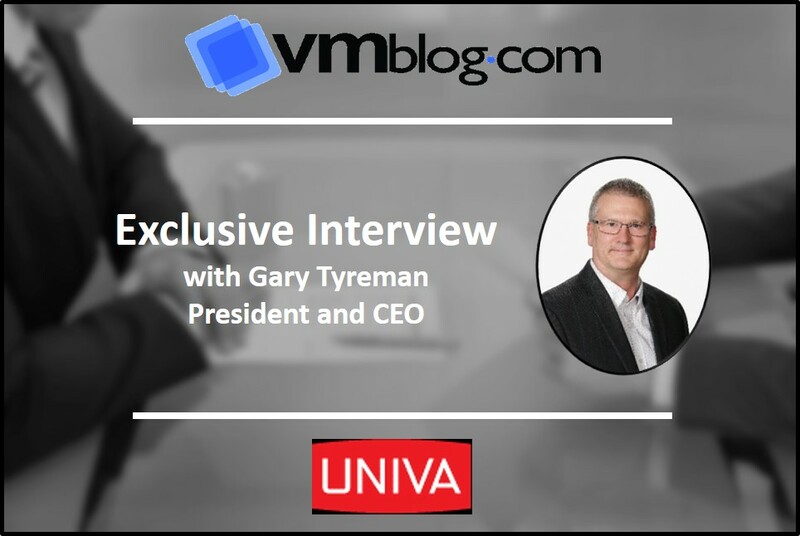 To understand more about this survey and results, VMblog spoke with Gary Tyreman, president and CEO of Univa. VMblog: You recently conducted a survey of technology and IT professionals on the topic of machine learning. What does the survey include, and what were you looking to understand from this survey? Gary Tyreman: Yes, we sponsored a survey, which was conducted by Dimensional Research, that polled 344 technology and IT professionals across the globe and across 17 industries. Given our existing work with extreme-scale, machine learning customers like Tusbame3 and ABCI, who are running some of the largest NVIDIA and machine learning clusters in the world, we wanted to verify if the anecdotal evidence we are receiving from our customers is in line with the results from this survey. VMblog: Where there any findings that surprised you? Tyreman: Given our existing experience working with customers who are running some of the world's largest machine learning clusters, it was a pleasant surprise to see such a direct correlation between HPC and ML, with more than 88% of respondents indicating that they are working with HPC in their jobs. That said, we were not at all shocked that nearly 9 out of 10 companies surveyed expect to use GPUs as part of their ML infrastructure, since this is very much aligned with what we have witnessed with our own customer base. Our team has seen GPUs as drivers for moving HPC workloads to the cloud to access expensive resources. It was very inspiring for our team to see these results. VMblog: What were the key findings from this survey? Nearly every company surveyed (96%) stated that ML projects will grow over the next two years, signifying incredible momentum in this space. More than 80% of respondents plan to use hybrid cloud and GPUs for ML projects. Though 69% of companies surveyed have three or more teams requesting ML projects, only 2 in 10 companies have ML projects running in production, citing migration of workloads as their biggest technical challenge. Of the 17 industries interviewed in this survey, technology, financial services and healthcare are clearly leading the charge when it comes to ML adoption. VMblog: More than 50% of respondents cited migration as the top technical issue. Why do you think this is the case? Tyreman: Yes, it was interesting to see that the migration of data and applications were the top challenges for ML projects, as noted by respondents in this survey. What this tells us is that HPC users are looking for guidance and solutions that help them to fully utilize and scale their ML projects and resources across their on-premise, hybrid and cloud infrastructures. VMblog: Were there any industries that seem to be adopting ML faster? Tyreman: Of the 17 industries represented in this survey, respondents expected technology, financial services and healthcare to lead the charge in ML adoption. These industries are not surprising to us, given the potential ROI from machine learning and the extremely large volumes of data needed for applications such as financial trading, medical diagnoses, and fraud detection, where they are seeking to employ machine learning and big data in their production workflows. VMblog: What did the results ultimately reveal to you about machine learning projects? Tyreman: A result we expected and the responses backed it up is that machine learning is poised for an explosive growth phase, with nearly every company anticipating more projects over the next two years. We were interested to see that the projects are being driven by numerous stakeholder groups within the company, and that there is a diverse set of ML projects that companies have initiated, showing that there are several areas where ML can drive value. Yet the most revealing aspect of this report is the need for organizations to fully utilize and scale their ML projects and resources across their on-premise, hybrid and cloud infrastructures.